If you're interested in finding a high-rise condo or apartment in Houston we can help! 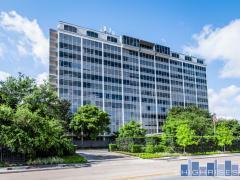 Take a look at the Houston high-rise rental listings below and contact us at 832-856-3080 to arrange a viewing. If you don't see anything that meets your needs you can tell us a little bit about your budget (the minimum for high-rise living is $1500/month) and what you're looking for and we will put together a list of available properties we think would be a good fit. We look forward to working with you!